Hilton’s luxury brand, Waldorf Astoria Hotels & Resorts, will welcome its first guests in Southeast Asia in the third quarter of 2018 with the opening of Waldorf Astoria Bangkok. The chain has set a plan for the expansion of Waldorf Astoria in the other parts of Southeast Asia market, including in Maldives and Indonesia. Set to be one of the region’s most anticipated hotel openings this year, the grand debut will introduce the brand’s iconic experience to discerning travellers in the vibrant Thai capital. In tribute to the owners of the property, Magnolia Finest Corporation Limited, the building has been designed to give the effect of springing from the ground like a Magnolia flower. 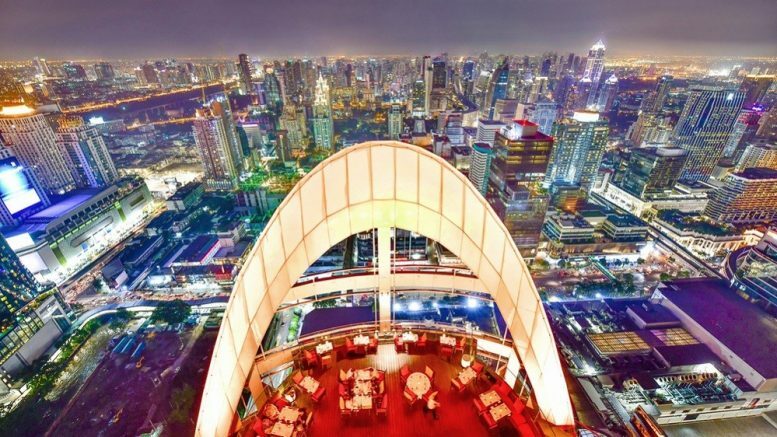 Towering above the city, the dazzling sculptural appearance of the property cuts a dramatic profile in the skyline of Bangkok, in the heart of the bustling Ratchaprasong intersection. The hotel will boast 171 luxuriously appointed and spacious guest rooms and suites, which reflect the artistry and craftsmanship of award-winning designer Andre Fu and his design studio AFSO. With a global portfolio of 30 hotels and resorts, Waldorf Astoria is known for creating a unique sense of place with a relentless commitment to personal service and culinary expertise in landmark locations around the world. Waldorf Astoria consistently offers a strong sense of arrival and impressive public spaces worthy of hosting history. Numerous historical figures – from Grace Kelly, Marilyn Monroe and Frank Sinatra, to world leaders – have been associated with the brand. 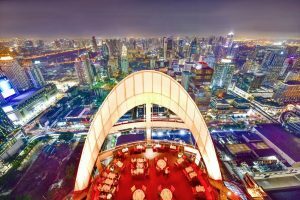 Daniel Welk, vice president, operations, luxury and lifestyle, Asia Pacific, Hilton, said that one of the key reasons behind this decision is the very optimistic outlook of the inbound tourism sector in Bangkok. In fact, just last year, it was named the most popular city for international tourists, according to the 2017 Global Destination Cities Index, ahead even of cities like London, Paris, Dubai, New York and Singapore. Additionally, this growth doesn’t look set to slow down any time soon – total international arrivals are expected to hit a high of 38.93 million in 2018, constituting a 9.2 per cent increase year-on-year. “At the same time, we’re also seeing steady growth in the luxury travel segment in Thailand. As expenditure per tourist continues to increase, one of the key trends that has emerged is the movement towards the higher-end market, among both Chinese and European tourists. Additionally, as Bangkok is home to some of the world’s finest in cuisine and design, we simply could not think of a better place to launch our first Waldorf Astoria in Southeast Asia,” he said, adding that of course, the choice of location within Bangkok was also critical – located in the heart of Ratchaprasong intersection in bustling downtown Bangkok, mere steps from the very convenient Bangkok elevated Train System (BTS), Waldorf Astoria Bangkok is within minutes walking distance to renowned shopping precincts and tourist attractions, making it the perfect base for moving around Bangkok. “In Thailand, we currently operate eight properties across our entire brand portfolio. This includes five Hilton Hotels & Resorts, two Conrad Hotels & Resorts, and one DoubleTree by Hilton. At the moment, we also have four hotels in the pipeline – an upcoming Hilton Hotel & Resort, another Double Tree by Hilton, our first Hilton Garden Inn, and of course, the Waldorf Astoria Bangkok,” said Welk. “From Waldorf Astoria Beverly Hills to Waldorf Astoria Chengdu, our global portfolio of nearly 35 iconic properties all create a unique sense of place with a relentless commitment to personal service and culinary expertise in landmark locations around the world. Hence, the Waldorf Astoria brand appeals to luxury travelers who are after unparalleled experiences, inspiring and personalized stays, and timely but timeless environments that allow guests to make the most of their time. Occupancy-wise, we are already seeing significant interest in terms of bookings, well ahead of the official opening in the third quarter of this year. Additionally, as Bangkok’s inbound tourism continues to flourish, and the luxury travel market grows from strength to strength, we expect to see this enthusiastic response extend beyond the short term,” he said. Welk said that Waldorf Astoria Bangkok marks the brand’s first foray into South East Asia. At the moment, Hilton has four additional Waldorf Astoria hotels in the pipeline or at various stages of development in other parts of South East Asia. This includes the Waldorf Astoria Maldives Ithaafushi, scheduled to open in Q1 2019, as well as three others in Indonesia – Waldorf Astoria Bali, Waldorf Astoria Jakarta, both of which launch in 2020, and Waldorf Astoria Bali Ubud, launching in 2021.